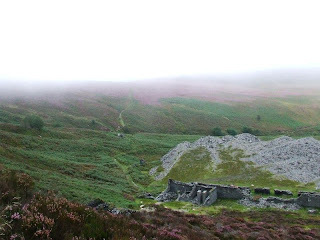 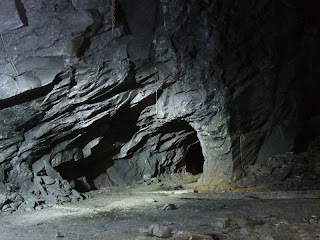 This mine was the last we visited on the North Wales trip. 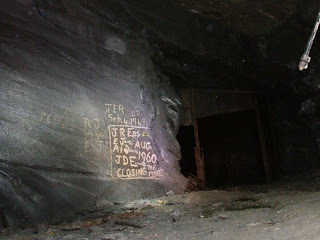 It is located up in the mountains, behind the remains of some old miners' houses. 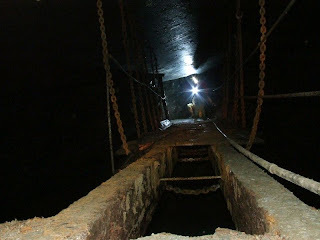 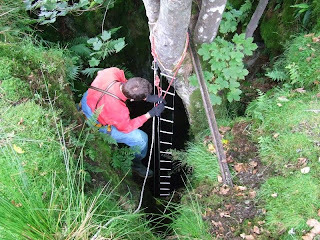 All adits into the mine have been blocked since the mine closed in 1960, and entry is now through an airshaft, which requires ropes and ladders as it was a 30ft drop. 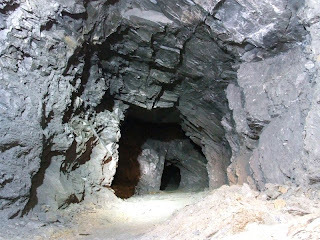 Inside, the mine was the largest we'd seen, with massive caverns, in most cases our lights could not reach the end or the ceiling. 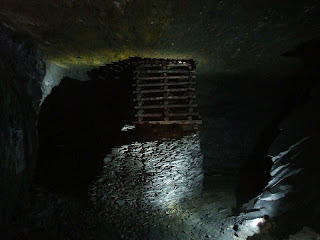 This made photography of these parts impossible, even with a 15 second exposure and frantic light painting. 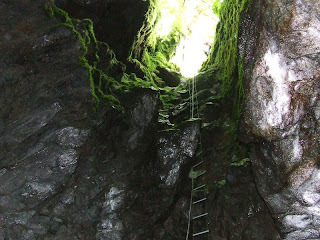 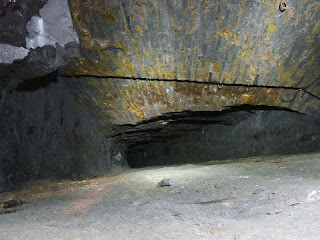 An interesting feature in the mine is a remaining bridge, which crosses one of the large caverns. 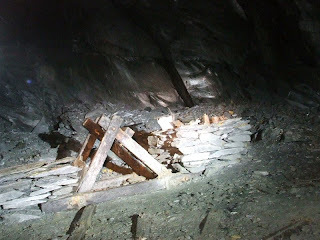 Entrance to this mine is very dangerous, and should only be attempted with experienced guides.